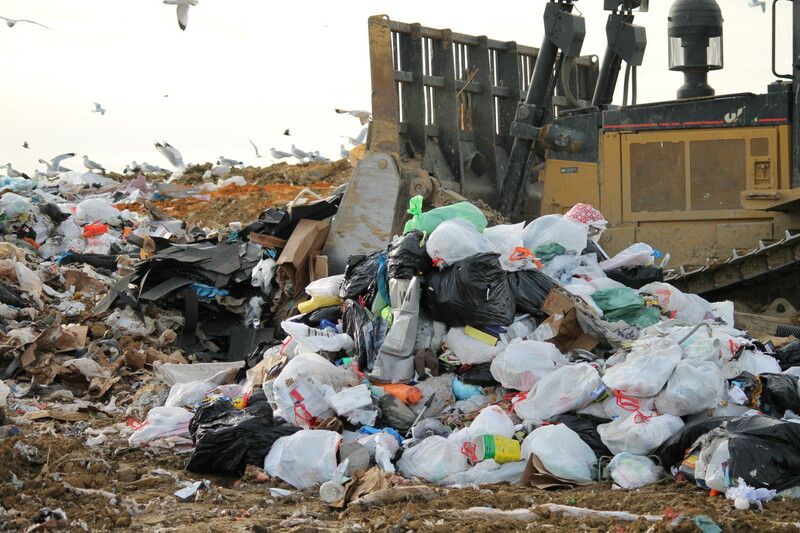 A promising new program may be the key to pushing Iowa’s landfills into action that decreases the environmental impact of their operations. The program, called Environmental Management System, or EMS, focuses on six specific ways to reduce what we dump into the ground as waste. But participation in the program, which signifies a switch from an outdated planning process that only credits landfills for diverting materials from landfills, has been slow. 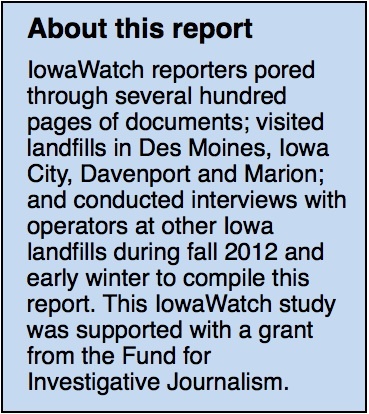 Only nine of Iowa’s 50 landfills have enrolled, an IowaWatch investigation revealed. That may have to change soon because landfill operators are under increasing government pressure to reduce negative environmental impacts. The Iowa Department of Natural Resources is planning a marketing push, while some landfill officials are predicting stricter Environmental Protection Agency standards for dealing with greenhouse gas emissions. The six categories EMS tabs for achievement are: recycling services, greenhouse gas reduction, water quality improvement, yard waste/composting management, hazardous household waste management, and environmental education. Contributing landfills submit to the DNR yearly reports that show efforts being made in each category, set future goals, and ways the landfill can meet them. Landfills achieving EMS goals gain more than just a smaller carbon footprint. The DNR reduces the fee they pay the state for each ton of refuse entering the facility. Operators of many more landfills stand watching from the sideline, waiting to be convinced that the program has benefits. “We do not see any direct benefits to joining the EMS system,” Robert Glebs, chief executive officer of Iowa Waste Systems, said. His company manages Iowa’s second largest waste agency, Mills County Landfill, and the Montgomery County Landfill in western Iowa. “It is a paperwork burden and not useful to Iowa Waste Systems,” Glebs said. Operators at the Iowa City Landfill and Recycling Center can relate. The landfill is Iowa’s most recent landfill to begin practicing the new system. 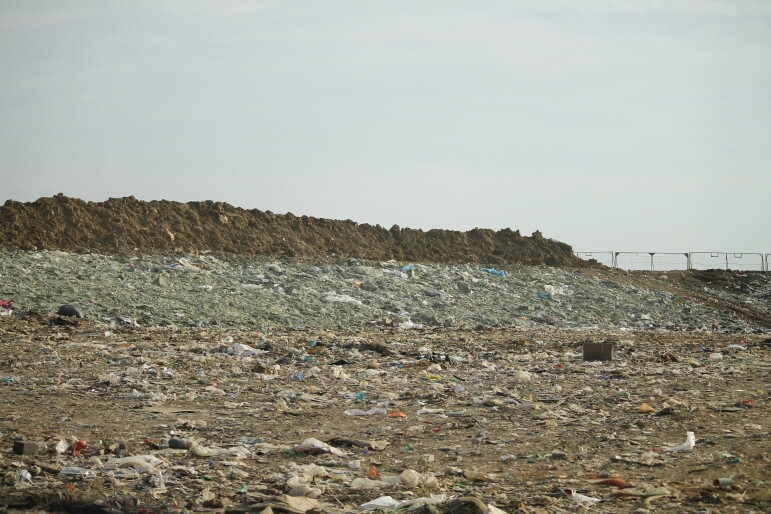 Landfill officials were hesitant to jump on board before joining in March 2012. Environmental management representative Brooke Butler said they didn’t feel they had enough employees, plus, the idea of tracking efforts and introducing new programs seemed daunting. Response from other participating landfills also has been positive. Cedar Rapids/Linn County Solid Waste Agency operators discovered that EMS went hand-in-hand with what they already were doing, communications director Joe Horaney said. Tom Hadden, executive director of Metro Waste Authority, which runs the state’s largest landfill near Mitchellville, said focusing on the six EMS categories gives the landfills a better chance to demonstrate their environmental efforts, and get credit for tackling them. Many of those efforts were not recognized as being helpful with the state’s waste diversion program. “All of our different operations are empowered to ask – how do we do things better?” Hadden said, referring to the six EMS categories and their goals. One positive result, landfill operators who spoke with IowaWatch said, has been finding ways to manage gas and liquid waste. Organic material, which makes up about a quarter of what people toss out in Iowa, lets off the powerful greenhouse gas methane when it decomposes underground. Even closed landfill cells that no longer accept refuse continue to vent the potent gas. If precautions aren’t taken, these landfill emissions could contribute to global warming by lingering in the atmosphere and trapping heat waves, Eugene Takle, a professor of atmospheric science at Iowa State University, said. Brian Harthun, an experienced landfill engineer in Cedar Rapids, calls greenhouse gases the biggest concern with landfills. Harthun is senior project manager for Foth Engineering, a landfill consulting company that helps landfills develop and maintain safe and economical operations. One process used to get rid of methane emissions is burning what remains from waste piles. Flaring destroys 98 percent of the harmful gases but also turns the methane into another greenhouse gas – carbon dioxide. While still harmful to the environment, carbon dioxide is about 20 times less potent than methane. Another method turns waste gas into energy. At the Cedar Rapids/Linn County Solid Waste Agency, a new on-site generator will transfer captured methane to electricity. Horaney expects this to produce 1.6 megawatts of energy per hour, which will be used to power about 1,000 homes in Linn County. Despite advancements in greenhouse gas management, some landfills still have no process for dealing with methane emissions. That is the case at the Mills County Landfill, which has experienced rapid growth since opening in 1972. In the past 10 years alone, its waste has more than doubled, resulting in its climb to second largest in the state in terms of refuse intake. Methane levels grow the more waste accumulates and the longer it sits. As a result, the Mills County Landfill is sending into the atmosphere more methane than it ever has before. That may not last. The EPA estimates methane production based on age and amount of waste, and landfills above a certain level are required to have a gas collection program. And Harthun predicts stricter EPA standards. Another area of concern with landfills is water quality. Leachate, the waste liquid that settles to the bottom of landfill cells, has the potential to contaminate surrounding groundwater without proper liners. Long gone are the days when Iowans dumped their trash in city dumps, often situated along waterways. Back then, nothing separated garbage from the porous earth beneath it. Regulation increased around 1972, when the DNR banned putting trash in water and began requiring landfills to hold permits. The DNR requires landfill operators to use plastic and clay beneath all garbage being dumped. Modern multi-layer liners rarely leak. 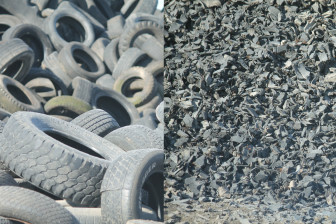 Harthun advises his landfill clients to use the following recipe when creating a new waste cell liner: gravel, two to four feet of clay, a thick plastic liner, and then a 12-inch drainage layer made up of shredded tires or gravel. Older waste cells continue to produce leachate. Many landfills have closed cells with outdated clay or plastic-only liners and must be monitored closely to ensure they stay within EPA standards. Leachate collection is the norm nowadays. Most Iowa landfills send their leachate to waste treatment plants, although some pipe their leachate into a pond from where it evaporates. Metro Waste Authority uses another approach – it recirculates its leachate. Because of its landfill’s location at Mitchellville, trucking leachate to a treatment plant would not be cost effective. So landfill operators spray collected liquid over the top of waste piles at the Metro Park East Landfill. Reo Menning, Metro Waste’s public affairs director, said this helps garbage break down quicker. The most difficult of the six EMS categories to manage, landfill operators who spoke with IowaWatch said, are yard waste and composting. One business dumping at Metro Waste avoids high composting costs by dehydrating food waste before bringing it to the landfill. Removing the liquid weight breaks down one week of food scraps to the size of one trash can and the sawdust-like substance does not contribute to methane production. But dehydrators are too expensive for most restaurants and Metro Waste officials say the landfill doesn’t have funds to consider installing one. Linn County’s landfill has an entire site dedicated to composting. The Czech Village location on A Street in Cedar Rapids combines yard waste from curbside collection with organic matter to create compost. One business taking advantage of this is Walmart, which contributes its old produce to the composting process. EMS participants are encouraged to reach the public through education efforts. The Dubuque Metropolitan Area Solid Waste Agency is attempting to increase waste diversion by 2 percent annually with an awareness program. The Dubuque City Council this month approved a pilot program that will assess garbage and recycling for 400 to 600 households for an entire year. Paul Schultz, the city’s resource management coordinator, said this will allow families to measure themselves against other residents and, if the program continues, against their own recycling levels of years past. Beyond making residents more aware of what they’re tossing, Schultz said incentives eventually will be considered. One natural focus area for community education is recycling. David Osterberg, a clinical professor of occupational and environmental health at the University of Iowa, said that of all environmental fixes, recycling seems tangible. This IowaWatch story appeared in The Gazette (Cedar Rapids, IA) and Sioux City Journal. More than half of what Iowans dump into landfills could have been recycled or composted. In some areas, that amount is as high as 75 percent, landfill operators said. Pingback: Importance of Recycling: A Better Understanding | HK Butterfly! Check Out My NPO Organization! We are located inside a landfill! We are getting more and more known out there- It has been a 20 year struggle- But we are up and flying!! Diversion rates are VERY high! We made Over $600,000 last year and $150,000 Of it went to other NPO Organizations in the area as well Supporting 10 Employees and 50 Volunteers! Check it out 🙂 Its just cool that there are other people out there who care! 🙂 This has been a life long dream come true!!! This is pretty cool Iowa. Keep it up!